Join us for information and orientation nights. Right now, there are 2,100 abused and neglected Sacramento youth without a home and a shortage of compassionate foster parents to care for them. 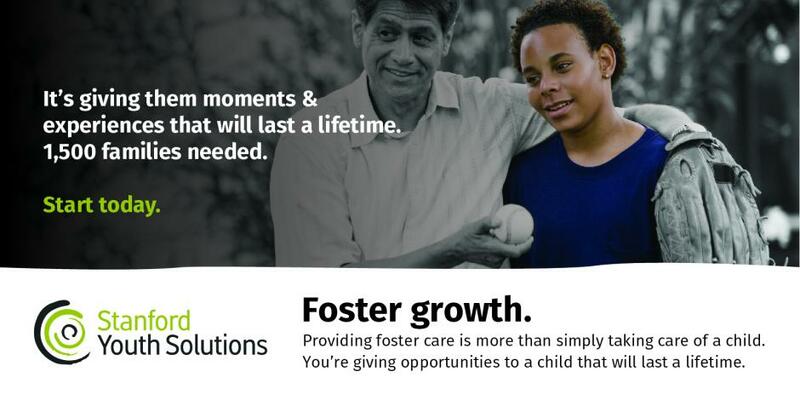 Become a foster parent with Stanford Youth Solutions to be part of the solution. We walk you through your adoption process and provide complete support for you to successfully care for a child who desperately needs a safe, loving family like yours to call their own. Most families are approved within three months. Last year, Stanford Youth Solutions did amazing work and certified 15 new foster parents, but it’s still not enough! We need your help to give local children a loving home and foster their growth. Become a foster parent and take on one of the most rewarding challenges in life: parenthood. Not sure if you’re ready yet? You can still help. Click here to donate. Have questions or need more information? Call us today at (916) 344-0199 to speak to a team member or attend one of our orientations every second Wednesday of the month. Follow us on social media to always stay up-to-date on our events and updates.